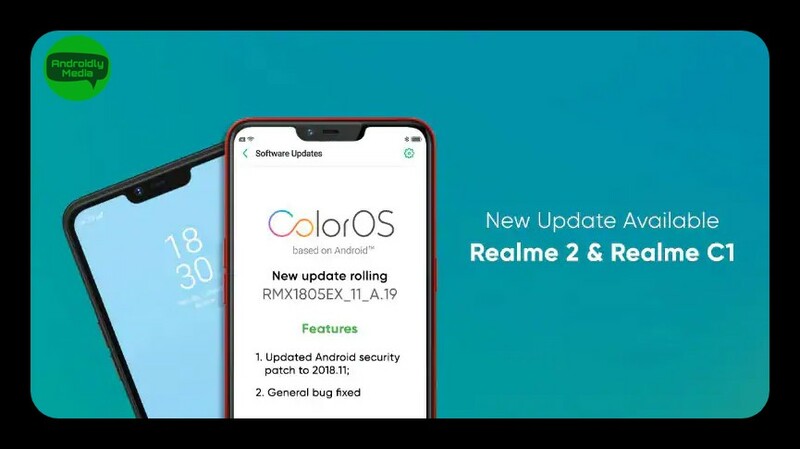 Realme has started rolling out it new ColorOS update for it's smartphone Realme 2 and Realme C1. This update is released in a phased manner through OTA update. Soon, these 2 phone will receive the ColorOS 5.2 update and it has the build number RMX1805EX_11_A.19. This update will bring the new Android security update and fixes bugs which were on these two smartphones. The update will not be available to all at a time. It will be done in phase manner. To check for the ColorOS 5.2 update, go to "Settings" of the smartphone and then select "System Update". There you will find the new update with all the upcoming features and bug fixes.